It was tough to find the real John Mellencamp until late in his Orpheum performance. John Mellencamp has always been a proud contrarian. A chip on the shoulder kind of guy, a rebel with a cause but not a clue, a self-deprecating outsider who likes to be different for the sake of being different. Now that he's ensconced in the Rock and Roll Hall of Fame and 14 years past his last radio hit, he's doing it his way. Good-bye arenas, hello theaters. Adios classic rock, welcome roots rock. It's time to make art, not radio music. Mellencamp called his concert Monday at the sold-out Orpheum Theatre "a vaudeville show." It featured a documentary movie, and then three distinct live music sets: stripped-down roots rock, laid-back acoustic music and full-tilt classic rock. It added up to a curious, challenging and ultimately unsatisfying evening. Freed of the arena albatross, Mellencamp opened with what could be his theme song -- "Authority Song" ("I fight authority, authority always wins"). Ah, the likable contrarian. With a slapping upright bass player and a standup drummer on a small kit, it felt like a Buddy Holly classic. In fact, for the next 90 minutes, Mellencamp came across more like a rootsy Texan than an Indiana rocker. In the first set, he sounded like an amalgam of Johnny Cash, Bob Dylan and Leon Redbone. During the acoustic segment, he seemed like John Prine, only with more oomph and less humor. In the electric closer, he became the John Mellencamp the fans had come to hear. But, for many, it seemed too little, too late. At 59, he sounded in good voice but he didn't really push himself. Although he looks as buff as the Boss and he waved his arms, he wasn't a physical performer who worked the stage. Despite the intimacy of the Orpheum, he didn't really connect with the fans. Although Mellencamp's 127-minute performance lacked momentum until the electric set, there were many rewards along the way by the singer and his excellent six-member band: Son House's "Death Letter" full of cool bluesy attitude; the haunting, seething "The West End" (an urban answer to "Rain on the Scarecrow"); the sweet and poignant "Save Some Time To Dream"; the a cappella "Cherry Bomb"; "Jack and Diane" recast as an island stroll; and the slashing "Rain on the Scarecrow" and the fiddle-sparked "What If I Came Knocking." Mellencamp's unconventional opening act was an hourlong documentary "It's About You" by photographer-turned-first-time-filmmaker Kurt Markus who followed Mellencamp on his 2009 tour with Willie Nelson and Bob Dylan, during which he recorded "No Better Than This," his stark, rivetingly rootsy new album. 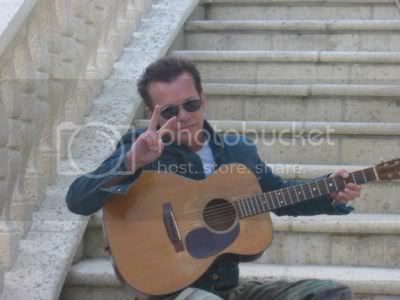 In typical Mellencamp fashion, he instructed Markus to make himself, not the rock star, the focus of the movie. A hodge-podge travelogue and rock doc, "It's About You" is more indulgent than enlightening, with Markus trying to make profound comments, but sounding like the guy in the Motel 6 commercials. wow, both MN reviews weren't as good as most others. i guess everyone's entitled to their opinion. Interesting. The Pittsburgh reviewer put it as maybe the best show of the year, two days before. I am a MN gal, getting ready to leave for Minnepolis. Please do not listen to these guys. They expected an arena concert. That is because they did not do their homework. Enough said. In fact, one of the writers apologized in the comments that he should have had his morning coffee first because a lot of people who were there last night, got a little upset with his review. If you want to read the comments, Click the Star Tribune, Entertainment, then read the comments. These comments, well most.....are from the fans and the people who were there to see JM perform, these are the reviews you need to read.....and the ones to listen to. Jon Bream gives a lot of negative reviews. The last time John was in St Paul, the review from him was terrible as well. I was so unhappy with him, I e-mailed the guy telling him what I thought of his review. He obviously does not like JM so I am hoping John and the band just ignore this review. As the other MN gal stated, just look at the Star and Tribune's website for the comments from his fans. The singing from the crowd was so loud at times, it was hard to hear John at times. The St Paul Pioneer Press review was excellent and some fans even blasted the Star and Tribune there for writing such a horrible review. I was one of those fans. I will post the St Paul review here next. Here is the link to the Star and Tribune review if you want to let Jon Bream know how you feel about his review. I also included some of the comments from the fans in case you don't want to login there. There are a few negative ones there but mostly good. Hey Jon, how old are you, 16? The whole tour is described as an intimate show, and his talents really came out in this concert. Many of todays 'hit" artists play for about 70 minutes and go "whoop whoop". Big deal. Mellencamp can write, play and sing, and is truly a performer. 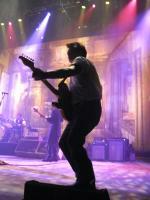 Many performers should take note of how to "perform" from a classic like John Mellencamp. His last "Hit" was 14 years ago... SO? Does that mean he's lost his credibility as a performer? Mellencamp has only had about what, 25 "Hits" over the last 30 years? He doesn't NEED to write another song to be honored for what he has already accomplished. What a CROCK review. When a performer plays note for note renditions of their album there is little compelling reason to see the show, especially at today's prices, when you could listen to the same music at home with better clarity. I would be more compelled to hear new arrangements of tunes to see how someone grew as a performer than to have them rehash material that they are probably sick of playing the same way for the last twenty years. So I guess he's gone full circle. From the contrived stage name "Johnny Cougar" (remember that- some of you might have still been in diapers back then), thru the "Mellencamp" era, to just plain John Mellencamp. He smoked a zillion cigarettes, suffered a heart attack, and absolutely rocke that Target Center ten or so years ago. Now let him sunset his career the way he wants to. He was a major force in the day, and I'll always appreciate what he's done for rock. Wow. Mr. Bream was apparently at a different show than I. First, the film at the beginning, while a little too long for my taste, did a great job of framing Mellencamp's head space these days and put his new material in a beautiful context. From where I was sitting, everyone thoroughly enjoyed all of the new material and applauded explosively and enthusiastically after every number. Secondly, didn't connect with the audience? People were hanging on every word. All of the rootsy numbers told great stories of maturity, and aging, and wonder and a lust for life. I thought it was extremely well received and appreciated. And finally, even though Mr. Mellencamp had a "set" set apparently (no encore was to be given) the audience stuck around quite a while screaming and applauding and begging for more. And Finally Mr. Bream... isn't an artist allowed to evolve, to explore, to create? I suppose to earn a good review from you, they need to come out and play their hits note for note just like you remember them. Seems like a music "critic" worth his salt would appreciate watching an artist grow and challenge his fans. But alas, we've come to expect this kind of drivel from an aging critic that's just "mailing it in." I was at the show and I agree to a certain extent with this critique. I felt that a lot of people around me were looking for the more traditional Mellencamp. The exception would be the women behind us who, like much of the crowd, were hanging on his every word. Personally, I'm not a big fan of his older music, but I was pleasantly surprised by the new direction. I went for my wife and it turned out that I probably got a better show than she did. I guess since I enjoyed the music more than I thought, I'll have to agree with Brewman in that he's earned the right to go where he wants with his music at this point in his career. Oh, and excellent supporting musicians, wow!